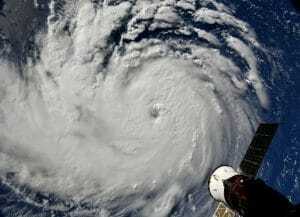 Hurricane Florence is a reminder of the limits of homeowners insurance. Slow-moving Hurricane Florence’s hammering of North and South Carolina is a reminder of just what homeowners insurance does, and doesn’t do in a disaster. It’s also a prompt for others to make sure their homeowners insurance coverage is complete. One of the main factors causing damage in the Carolinas was flooding from storm surge and torrential rainfall. Unfortunately, much of that damage may not be covered by standard homeowners insurance policies. Standard homeowners insurance policies cover wind damage, but they don’t cover damage from rain or floodwaters, such as storm surge or overflowing rivers. But most homes in the Carolinas don’t have federal flood insurance coverage, which is offered by FEMA. Of the 7 million homes in the two states, only about 340,000, or 5%, are covered under the federal program. The reason most homeowners insurance policies don’t include flood insurance is damage from flooding can be so widespread that it can wipe out an insurer, according to USA Today.